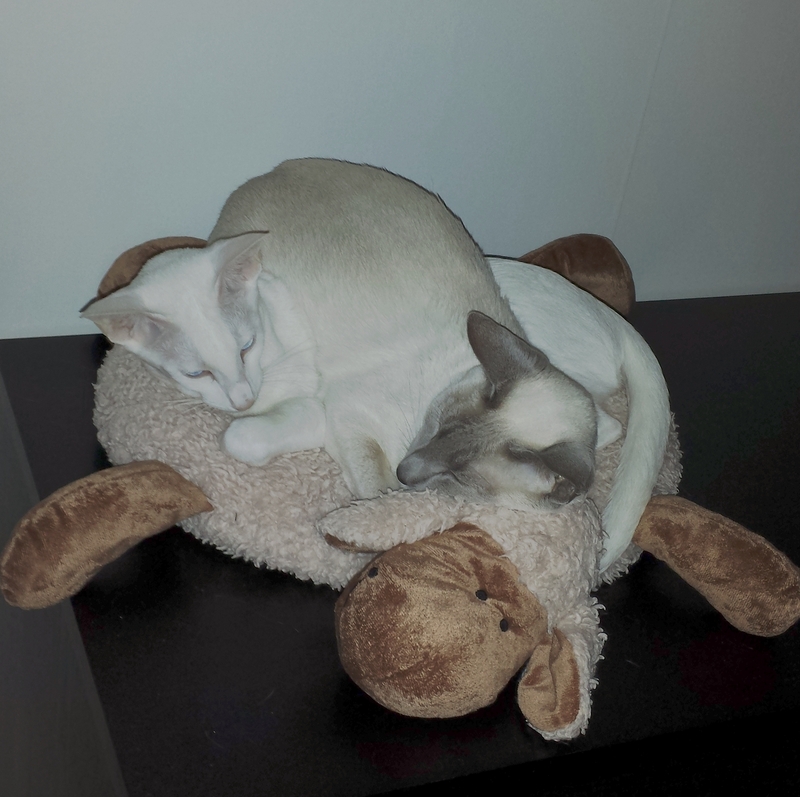 Here are Leroy and Angel occupying the new pillow they got yesterday. Angel has intense blue colored eyes, and Leroy has amazing dark lilac eyes; their true color is hard to catch on camera. 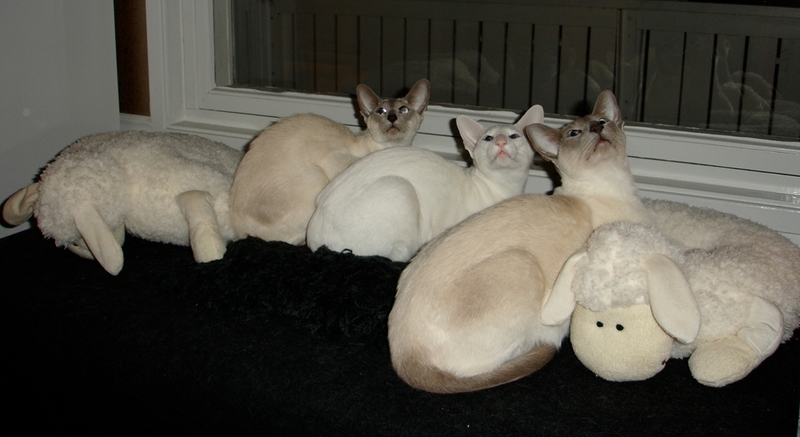 Lilac and chocolate point Siamese have that lilac shade of their blue colored eyes that other Siamese do not have. 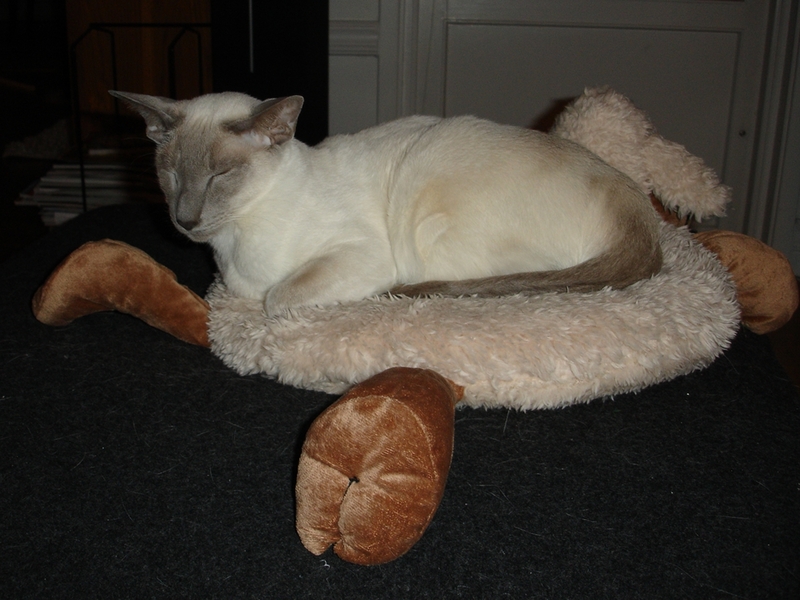 All Siamese have blue eyes, and that gene is not connected to deafness. 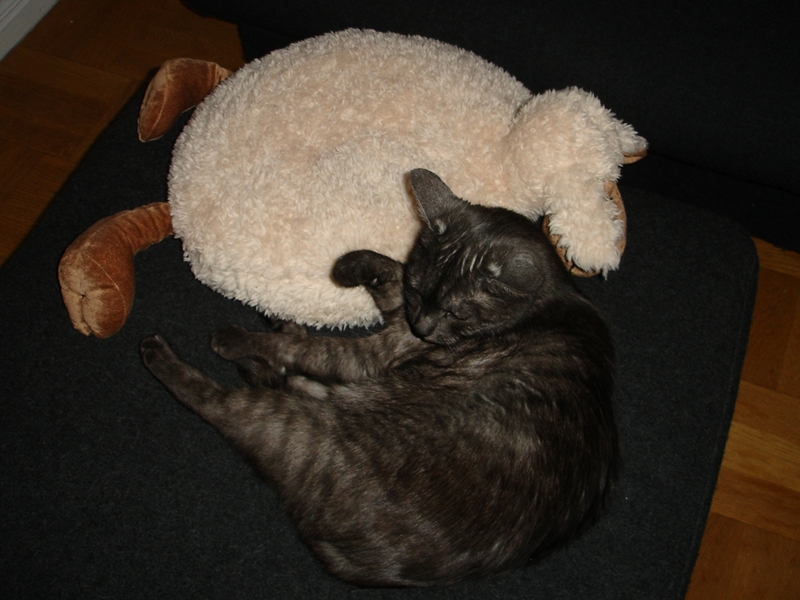 Leroy weighs 4,2kg and Angel 4,3 kg, but he is more muscular. Angel is running a lot with the other cats since she came to us and is getting leaner. 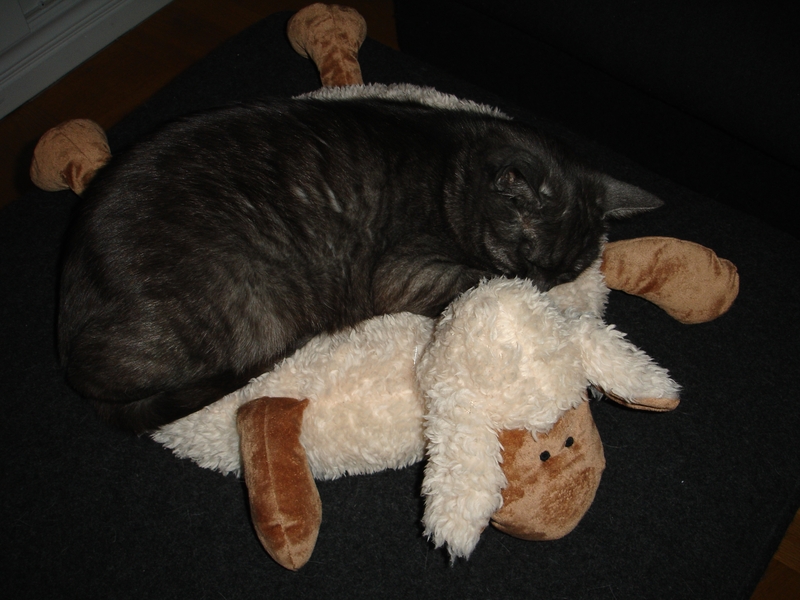 Jossan is very lean and small cat, 2,9kg. 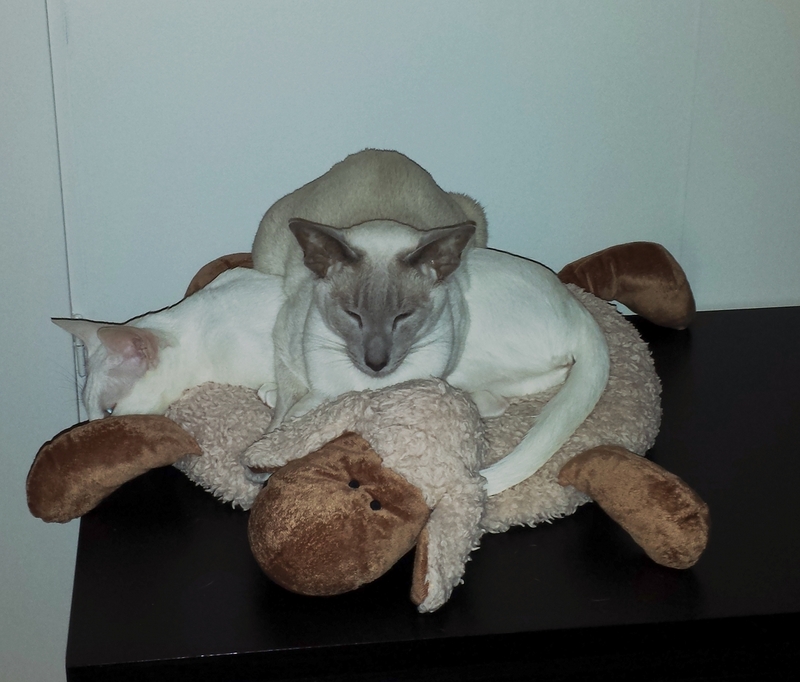 That is okay for a Siamese. Leroy’s mom, girls’ grandmother, is also lean and thin, but Jossan’s and Angel’s mom, Hannah, is quite big boned, and Angel has inherited her build, but Leroy’s length. Their half brother, one of Hannah’s sons, LillFrank, weighs 6,5 kg! He is not really fat, he is very muscular and big.